The ULTRA T1 (E1) is an enhanced third-generation product that consolidates the essential pieces of industry-standard test equipment into a powerful, PC-Based T1 and E1 solution. Utilizing familiar computer user interfaces, it provides comprehensive and versatile T1 or E1 testing capability at a competitive price. The ULTRA T1 (E1) Card transforms your PC into a sophisticated T1 or E1 analyzer. Prior versions of the Ultra T1(E1) Cards were designed for use in ISA slots, and the current Ultra T1(E1) cards are PCI. 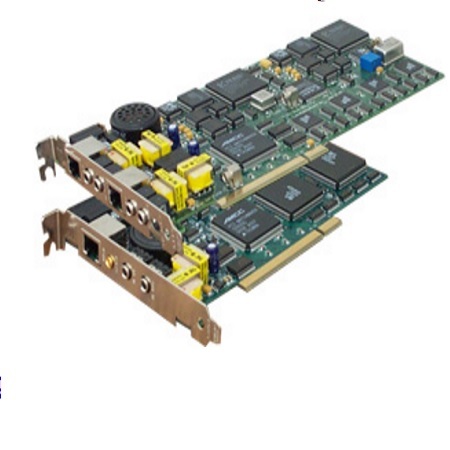 The newer PCI versions are available with either a single T1(or E1) interface or with a dual T1(or E1) interfaces. The ULTRA T1 (E1) features in-service monitoring of T1 (E1) circuit connections, including 64-Kbps channels within a T1 or E1. It provides out-of-service troubleshooting such as bit-error-rate testing. Drop and Insert capabilities provide access to DS0s without disrupting service. The ULTRA T1 (E1) can be used for routine testing of errors, such as bit errors, frame errors, and bipolar violation; signals, including received frequency, received signal level, and data bits; and timing including signal-loss seconds, test length etc. Alarm monitoring and time-stamped logging provide windows into the network performance. The ULTRA T1 (E1) emulates and decodes all 24 (32) channels simultaneously for Signaling Bits, Power Level, Frequency and Multi-Frame Data. DTMF/MF generation and detection, signaling bit manipulation and recording provide complete signaling capabilities. Graphical views simplify the understanding of PCM data. Time-domain is presented using an oscilloscope display, and frequency domain using spectral displays. Voice Frequency Access: Besides providing access to in-band PCM data, the ULTRA T1 (E1) provides VF interface for monitoring and inserting audio with Drop and Insert. The unit also provides convenient handset interface for voice over the T1 or E1 line. Remote testing and monitoring can be done by remote accessing the PC using familiar software.